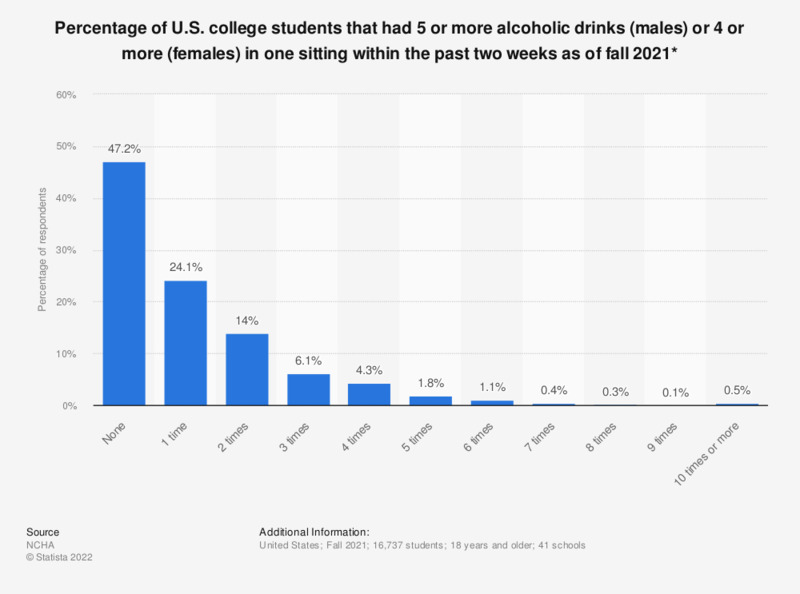 This statistic presents the percentage of college students in the U.S. that had 5 or more alcoholic drinks in one sitting within the past two weeks as of fall 2018. According to the survey, 14.2 percent of students had 5 or more drinks in one sitting just one time within the past two weeks. Original question: "Over the last two weeks, how many times have you had five or more drinks of alcohol at a sitting?" Are you (or will you be) the first in your family to attend college?